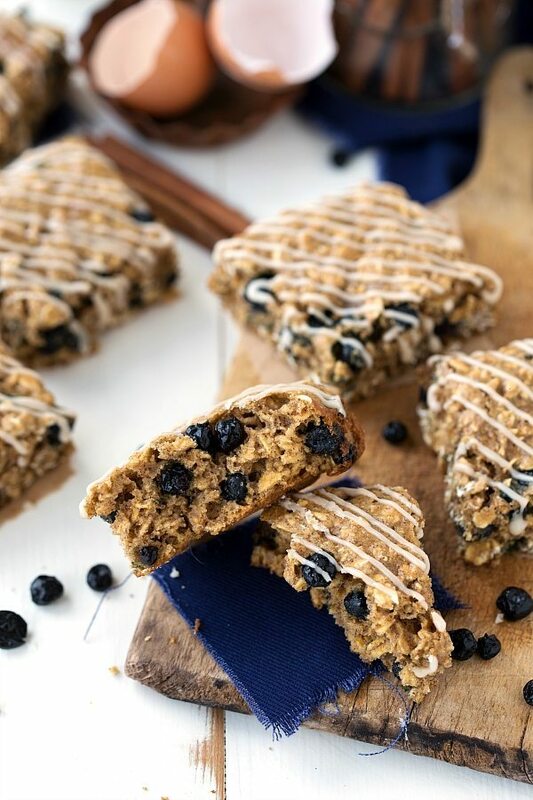 A delicious and healthy copycat of the Nature Valley Soft-Baked Blueberry Oatmeal Squares. The perfect on-the-go snack the whole family will enjoy! Well, it’s about time. 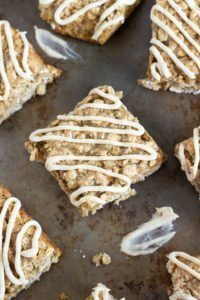 There are two other soft-baked Nature-Valley Copycat bars on this blog and finally I have a much requested third one for you all! 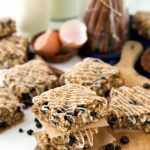 I’ve gotten countless emails and comments asking for a blueberry copycat after people have enjoyed the peanut butter bars and the brown sugar cinnamon bars. The reason I’ve been holding out on you all? I had actually never tried the blueberry ones until a couple of weeks ago! I regularly bought the other two flavors until I created a copycat recipe for them and never went back to try any of the other flavors. Finally, I made a trip to the grocery store with JUST these bars in mind and nabbed a box. I ate one on the way home and liked it — I thought it was a bit dry and hard, but that may have just been the batch I got. Other than that, the flavors are pretty great. So the experimenting began to make a (less dry/hard) flavorful blueberry soft-baked oatmeal bar! 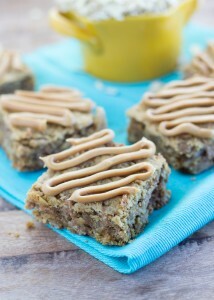 I pulled a lot of the same ingredients from the brown sugar bar recipe since these bars are pretty similar to those. The big differences: a pretty strong maple syrup taste, the dried blueberries (of course), a stronger vanilla flavor, and the vanilla drizzle. There is a definite maple syrup flavor in these and although pure maple syrup can be quite expensive, it’s totally worth it. The recipe only calls for 3 tablespoons, but those 3 tablespoons are pretty huge for the flavor of these bars. When having people taste these bars against the original, everyone said the copycat was better (!! ), softer, and even a little bit sweeter tasting. All in all, they taste very similar! I used 5 tablespoons of brown sugar in the test of comparing these bars to the Nature Valley bars. If you are used to healthier snacks you can probably reduce to 3-4 tablespoons brown sugar and these bars will still be plenty sweet. However, if you are new to healthier snacks or just want a sweeter bar, use 5-7 tablespoons of the brown sugar. Taste the “dough” and adjust the sugar to your personal preference. Unfortunately, frozen and fresh blueberries were not successful in my testing. I use dried blueberries in these bars (I found them right by dried fruit and nuts in the grocery store – by dried cranberries, mango, etc.) and they work perfectly! 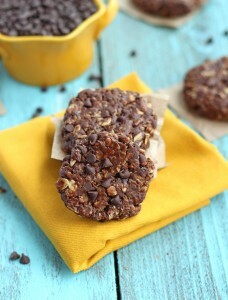 Recently my little boy has been hooked on the Clif Z bars…what do you think…interested in a copycat recipe for those? 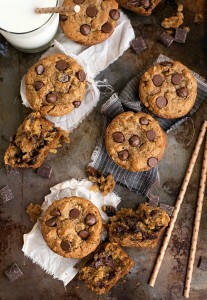 To make oat flour, just place old fashioned or quick oats in a blender and pulse until they resemble flour. Measure AFTER blending to make sure you have the right amount. Combine the oats, oat flour, white whole wheat flour, baking soda, baking powder, salt, cinnamon, and brown sugar (use 4 tablespoons if you are used to healthier treats and 5 or even 6 tablespoons if you want a sweeter bar) in a large bowl. Stir until combined. In a small bowl, combine the vanilla extract, milk, large egg, and pure maple syrup. Lightly beat with a fork. Mix together the dry and wet ingredients until just combined (do not overstir as this results in denser bars). Stir in the dried blueberries. The mixture will be very thick and wet. Press the mixture into the parchment lined pan. Press until it it evenly spread throughout the pan. Bake for 18-20 minutes or until the center is slightly inflated and the edges are lightly browned. Combine all of the ingredients in a medium sized bowl starting with only 1/2 tablespoon milk. Whisk briskly until a very thick frosting has formed. Add up to 1/4 tablespoon milk if needed. Transfer the frosting to a plastic resealable bag and cut off the very tip. Once the bars have cooled, press the frosting through the small hole onto the bars to create a thin drizzle. Store these bars in an airtight container or sealable bag. I like keep them in the fridge and microwave for a little right before eating. Best eaten (or frozen for later) within 3 days. I recommend organic eggs as I believe they result in a more flavorful bar. These are absolutely gorgeous, Chelsea! I love the soft baked nature valley bars, but I have a feeling these are WAY better! What a perfect healthy snack! Pinned! 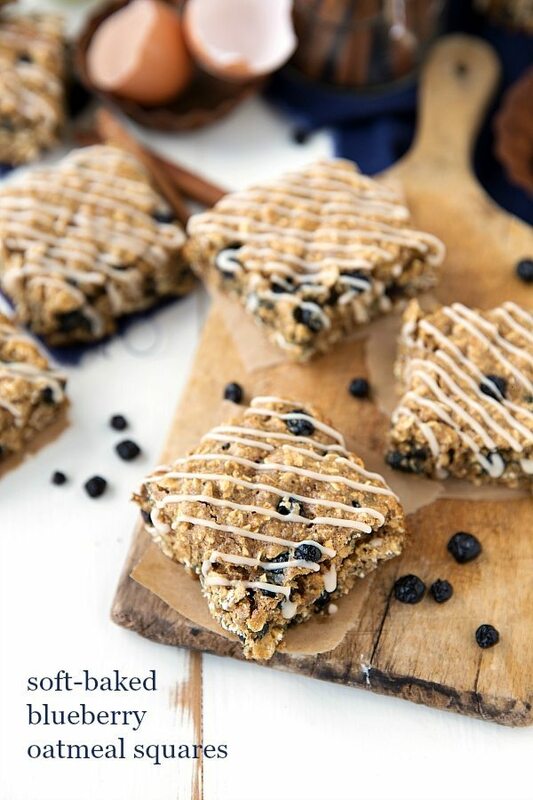 Love the minimum amount of sugar in these squares and the blueberry overload, also the vanilla drizzle is perfection! I’ve never actually had any of the nature valley squares! Crazy. But I think I’ll just go straight for the homemade version! This looks delicious! I am interested in all copycat recipes! If it means spending less money on processed and packaged food, I am all in! These look absolutely perfect, Chelsea! 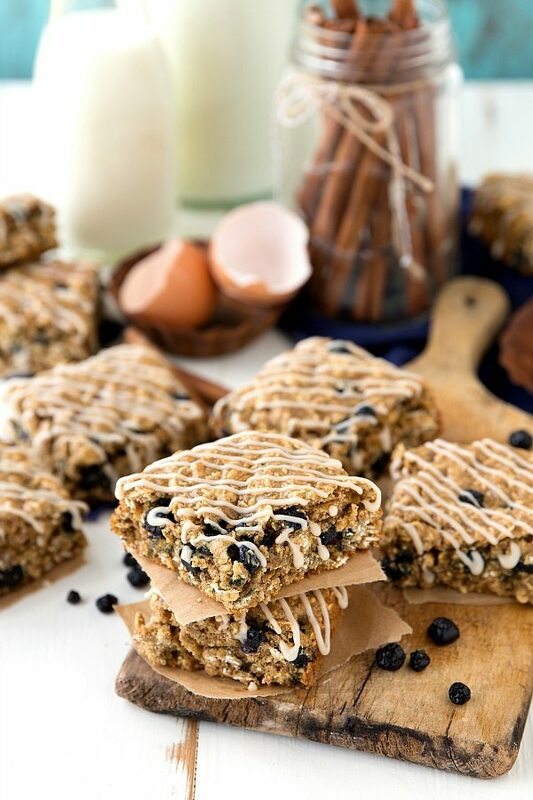 I would definitely choose these homemade oatmeal squares over the Nature Valley ones any day. They look so soft and delicious! Chelsea, these look so much softer than the NV bars & undoubtedly much better for you! I for one, would love to see a cliff bar copy! Thanks for sharing! I made your original version and loved them! I’m sure these will be no exception! These are fantastic! Nice recipe. Not a lot of sugar and were even sweet enough without the drizzle. Will definitely keep this one on hand!